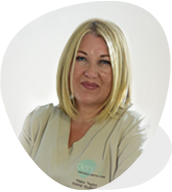 I lead our caring, professional team offering you the tools and the skills to make the most of a few minutes every morning and evening to look after your smile. We are an Award winning private practice based in Billingham, Teesside. We pride ourselves in excellent patient care and employ staff who are approachable, caring and forward thinking. At Identity Dental Care you will always be greeted with a friendly familiar face and offered a complimentary freshly ground coffee. We emphasise prevention as well as personalised attention, and we offer complete dental services including general and cosmetic dentistry, dental implants, and oral surgery. Learn more about our cosmetic dentistry treatments including teeth whitening, porcelain veneers, white fillings, dental implants and much more. We provide complete smile makeovers and facial aesthetics to improve your confidence, making you look and feel younger. We believe in helping you to maintain your oral health, whilst enabling you to spread the cost of your routine dental care. Therefore we have introduced our own dental membership scheme which encourages regular attendance enabling us to spot problems before they arise, helping you maintain healthy teeth and gums for longer. We also offer finance as well as private patient appointments should you prefer this method. 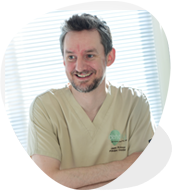 If you would like to book a consultation or pop in for a chat we would be pleased to give you a guided tour of the practice and introduce you to the team. "Identity Dental Care, for treatment as Individual as you are"